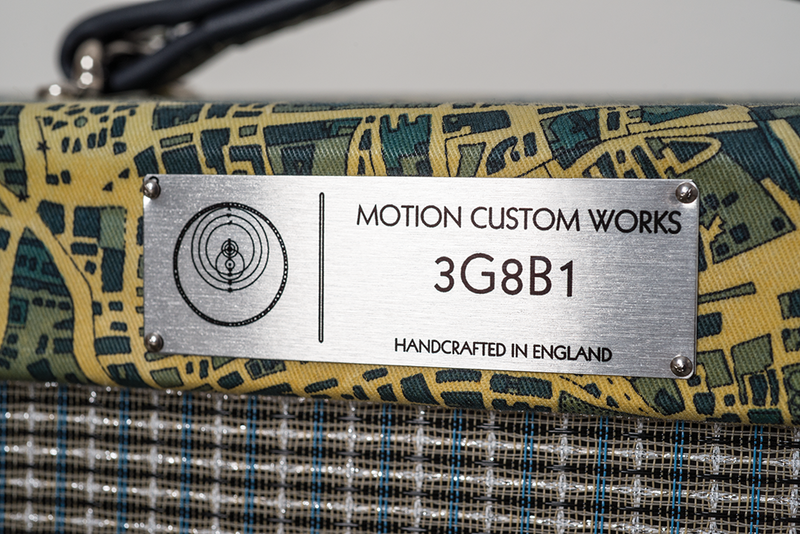 Based in the north of England, Motion Custom Works builds handwired valve amps with interesting twists on classic circuits and custom-built solid wood cabinets. Features include turret board construction, carbon composite resistors (where appropriate), Hammond transformers and Sprague signal capacitors. 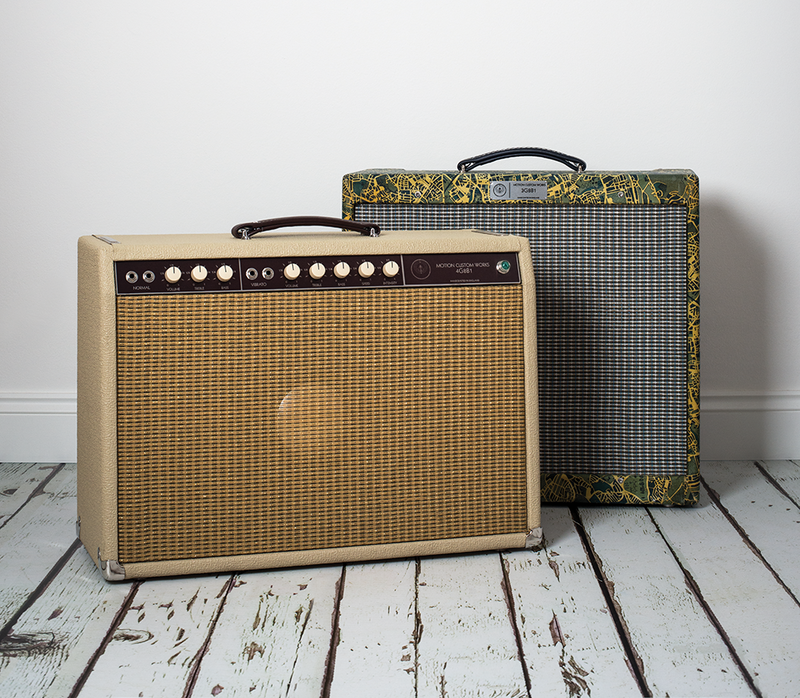 All of the company’s amps are built-to-order to customer specifications and, compared to many other boutique amps of this quality, the prices are relatively affordable. 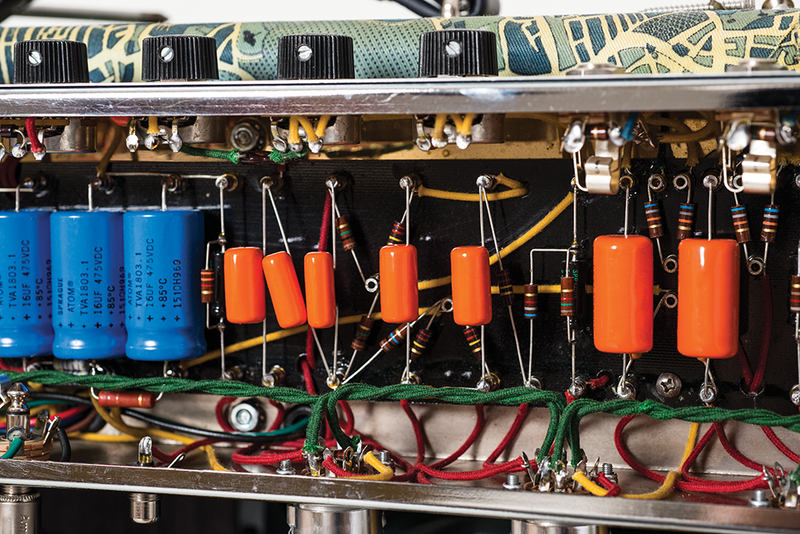 The inspiration for the 3G8B1 came from a studio owner who requested a recording amp that could cover the clean sounds of early-60s brownface Fenders and move into tweedy overdrive when pushed hard. 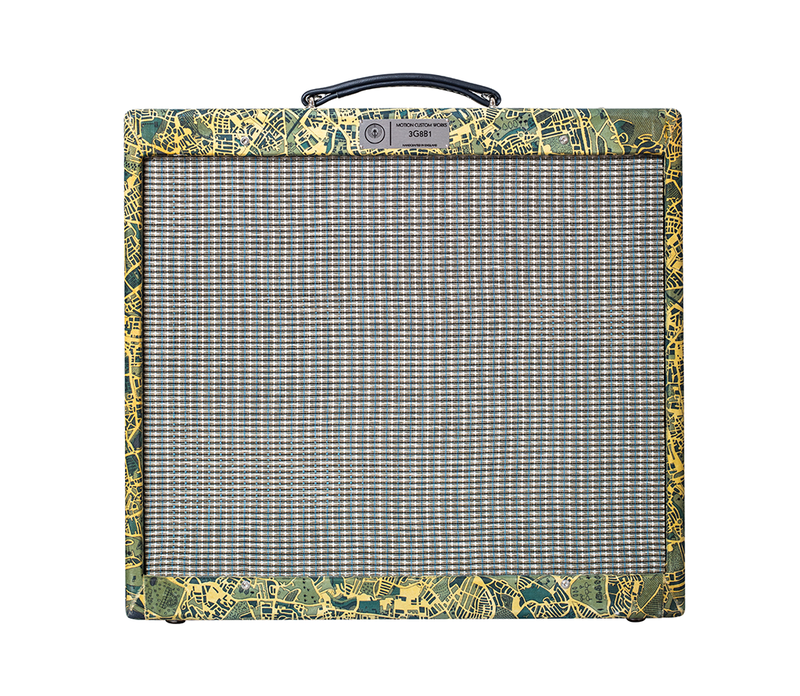 The result is a cathode-biased design rated at 12 watts with two channels, two 10-inch Weber Signature Series alnico speakers and a bias-driven tremolo circuit. The cabinet is a fair bit larger than a regular 5E3-style cab, and the amp can also be ordered with a single 12-inch or 15-inch speaker. The striking covering is a fabric from Liberty, depicting a stylised map of Paris. The overall vibe is on the mellow side, even when you plug into the brighter and louder input of the bright channel. Even so, the big cabinet and the spread of the dual 10-inch speakers combine to produce a broad and deep sound that can fill a fairly large room despite the power limitations of the cathode-biased 6V6 output stage. Neither late-50s tweed bite nor mid-60s blackface treble sheen are on the menu with the 3G8B1. Starting out with a maple ’board Strat, things sound somewhat jazzy until the tone control reaches around halfway, and I found one o’clock to be a reasonable starting point because below that, the top strings sound a bit muted compared to the wound strings. Around the three-quarter mark, the top end opens out quite suddenly, and it’s accompanied by a slight increase in level and gain. The volume controls are labelled in fractions, and both channels stay silent until just below the quarter mark. The progression from sweet cleans to creamy gain is so smooth and gradual you can set the overdrive level exactly where you want it. 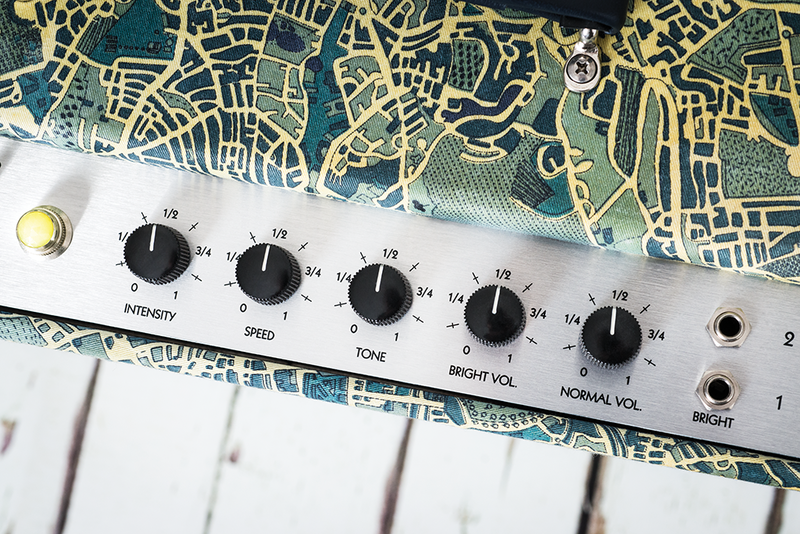 The overdrive characteristic is chimey, refined and chewy through the midrange, and you can also feel the low end gradually loosening up as the volume controls move beyond halfway, especially when humbuckers are involved. Although there’s a nice range of clean-to-dirty rhythm tones to be enjoyed, the 3G8B1 is no screamer. The gain and sustain needed for soloing without stompbox assistance just isn’t there. Having said that, the 3G8B1’s softness makes it very much a pedal-friendly amp. Overdrives blend really well with the amp’s natural tone, which sweetens and smoothes over any harsh overdrive artefacts. 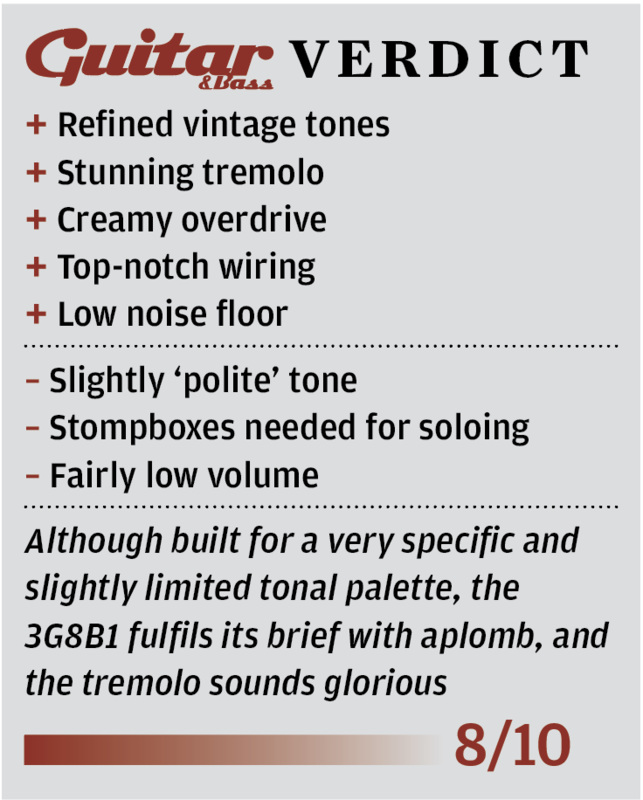 Of course, you have one onboard effect to play with, too – namely the vibrato (actually tremolo). It’s the 3G8B1’s crowning glory because it’s so versatile and playable. The ranges of the speed and intensity controls are usable throughout, and at higher speeds, the tremolo starts to hint at genuine pitch-bending vibrato. 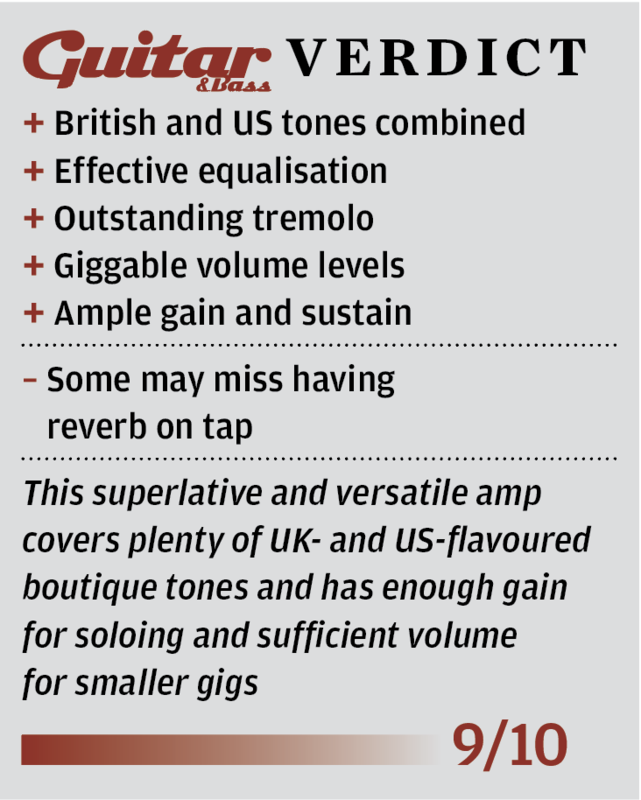 It lends a delicate shimmer to clean tones, a swampy pulse when you add a little gain, and in overdrive mode you get a moody throb that’s darkly atmospheric with a touch of additional echo or reverb. 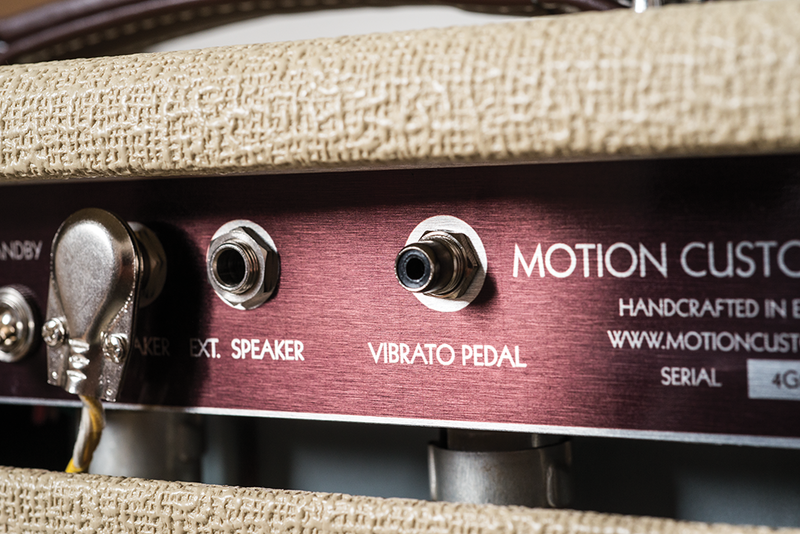 Motion Custom’s design criteria for this amp were “a perfectly voiced guitar tone with a fair amount of power and portability that could deliver the shimmering clean tone of the early-60s blackface amps and the midrange growl of the mighty Hiwatt DR103, but in the convenience of a combo”. A fixed-bias pair of NOS Russian military-spec 6V6s generates 20 watts. Both channels have volume, treble and bass controls, and the vibrato channel has speed and depth for the bias tremolo. The normal channel is recommended for the single-coil user, and the bright channel will suit humbuckers and higher-output single coils such as P-90s. Our review amp was built very nicely and came with a vintage JBL D120F speaker installed. The stock speaker is a Jensen P12Q, but customers can choose their own. The turned solid-wood footswitch, with its braided brown cable, is a real touch of class. The 4G8B1 is by far the more versatile of the pair. It’s also much louder, has more sustain when it’s overdriving and the frequency response has a lift across the upper-midrange and treble. With the volume, treble and bass controls set identically, it’s also clear that the two channels are voiced differently. The normal channel has more midrange girth and weightier lows. I’d also suggest the overdrive character has slightly more ‘British’ aggression, although the JBL speaker fudges the issue slightly. The tone controls have a wide range and it’s easy to dial in thick sustaining soupiness, cocked-wah bite and crisp distortion. The bass retains a commendable tightness that’s devoid of flubbiness or excessive sag. The vibrato channel will be familiar to anybody who has played a mid-powered blackface or silverface Fender combo. Where the 4G8B1 differs is the pleasing absence of glassiness in the treble. There’s ample brightness and clarity, but there’s nothing spiky or excessive about it. 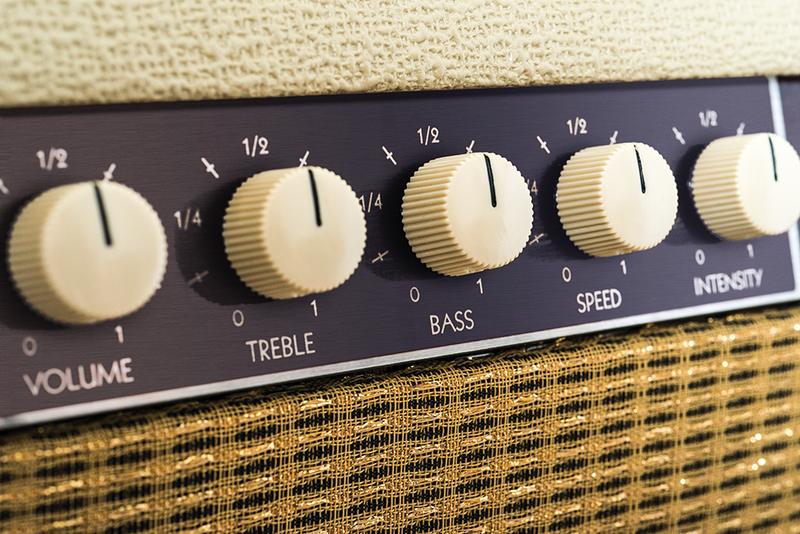 Like the normal channel, the vibrato side can generate copious quantities of overdrive and sustain, and it cleans up from the guitar equally well. However, the vibrato channel also feels more touch sensitive and the treble shadings are more subtle and shimmery. This channel also brings out the quackiness and honk from vintage-style pickups in a way that I find enjoyable. I can see where Motion Custom is coming from with its humbucker/single-coil suggestions, but I preferred the opposite. The normal channel does the heavy blues-rock thing really well with a Les Paul and the vibrato channel handles the SRV, country and funky side impressively with Teles and Strats. Again, the tremolo is outstanding, and it’s obvious that considerable research and care has gone into this aspect of Motion Custom’s designs. The 3G8B1 is not an especially exciting amp from a rocker’s perspective, but it does have some engaging sonic qualities and the noise floor is impressively low. For general playing, I would probably suggest the bright channel, but the normal channel’s even and woody character is mellow without being muddy – and it’s a tone that’s hard to find on a lot of amps. 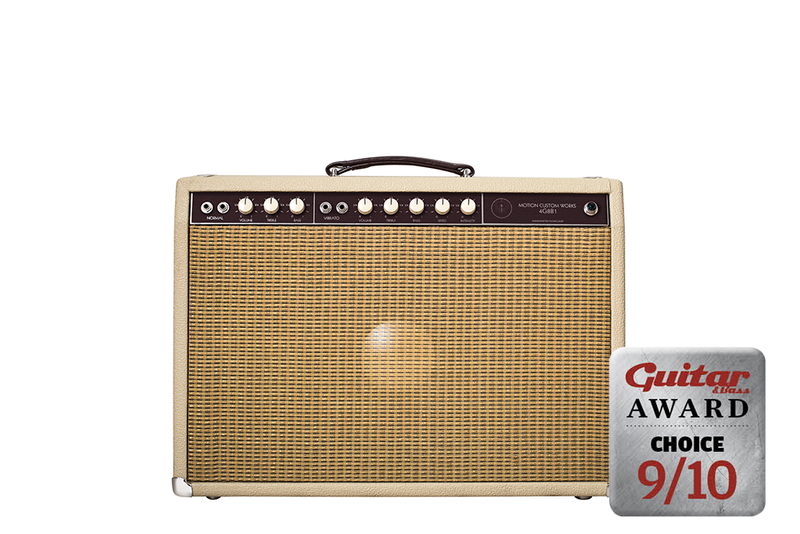 For a more thrilling ride, the 4G8B1’s two channels combine throaty midrange breakup with mid-scooped mid-60s US tone that can be pushed hard for singing soloing tones or dialled back for sparkling cleans. 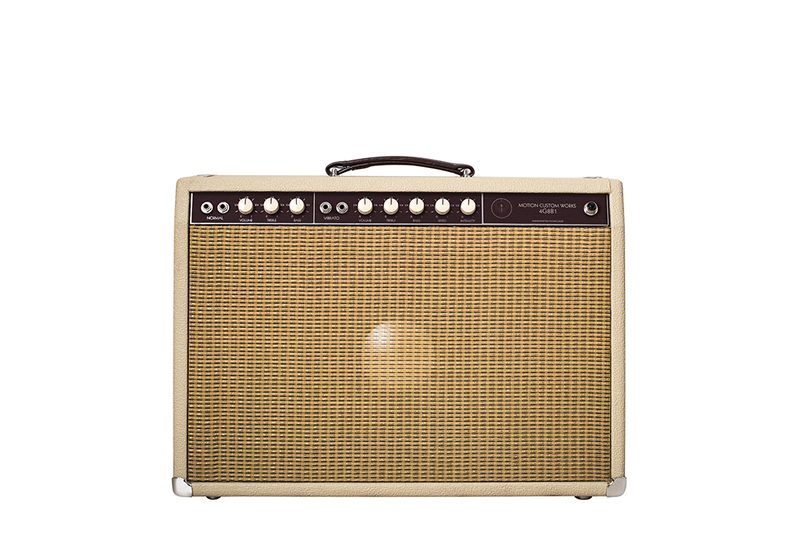 This dual voicing, plus handwiring and a solid-wood cabinet, give it an edge over many blackface-inspired amps.